We offer commodity film products like carton liners, drum covers, sheeting and specialty products, including Drum Liners, a stretch and antistatic bags. 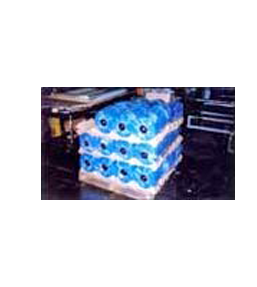 Plastic bags can be individually cut to size, perforated on rolls, bottom sealed, slit sealed or gusseted – narrow widths are available by special request. Sheeting comes as centerfold, single wound, double wound or perforated on a roll. We use LDPE, hexene LLDPE and LLDPE blends, colors from tints to opaque, along with such additives as UVI, antistat, slip and antiblock. Whether you need plastic bags, covers, drum liners or any other PE film product, try Protective Lining and see why we are one of the industry’s leading suppliers. Contact us to have a NPS representative contact you about our PE film products.